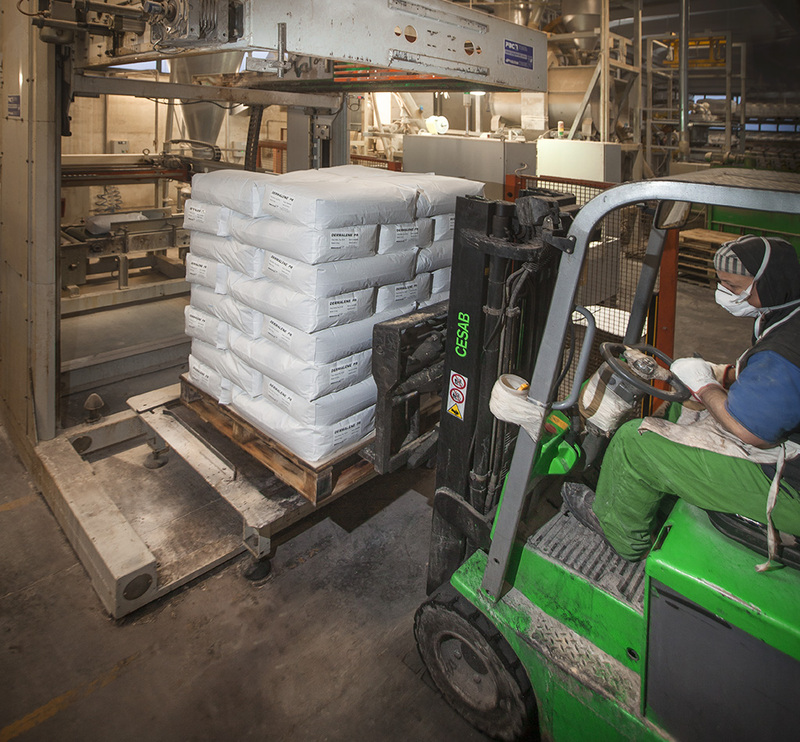 Research, production and distribution: our three strengths. Dermacolor’s work covers research, production and the checking and of work processes, , as well as distribution, which is another of its strengths. The company specialises in the production of chemical products for leather processing, as well as actual processing. Its aim is to cater for market requirements by producing items requested in Italy and worldwide and offering a qualified consultancy service. The high performing, reliable Dermacolor products meet current leather processing demands and constantly undergo improvements and specific treatments to make them more effective. The company also has a tanning workshop used exclusively for leather processing da parte di personale tecnico specializzato, by specialised technical personnel who follow the technical processes from tanning to refinishing with excellent results. 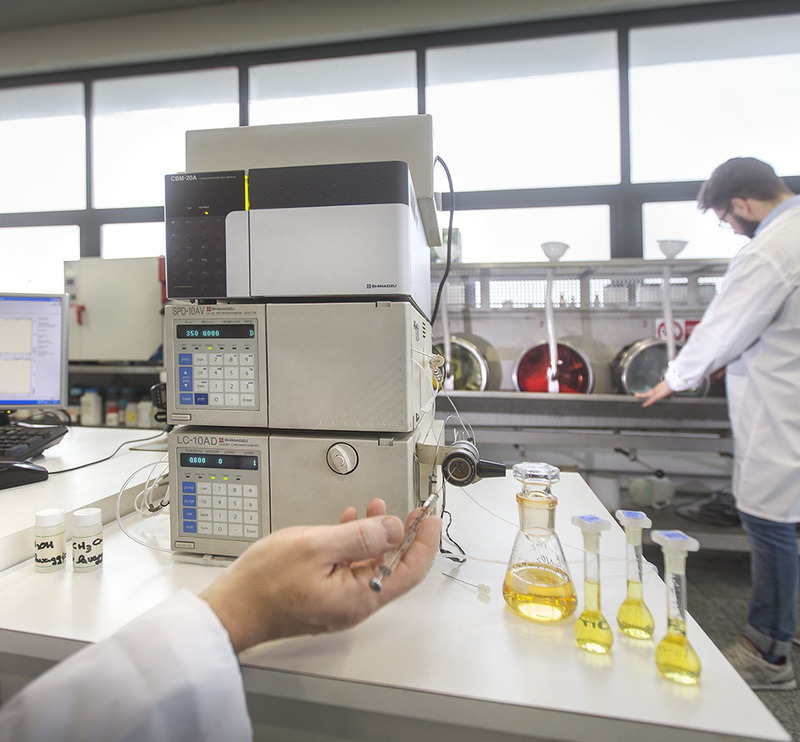 The leather processing research products are the result of years of investment in research and development in the company’s professional laboratories, and our experts’ knowledge of the world of leather who constantly strive to sfind solutions that meet the industry’s needs. 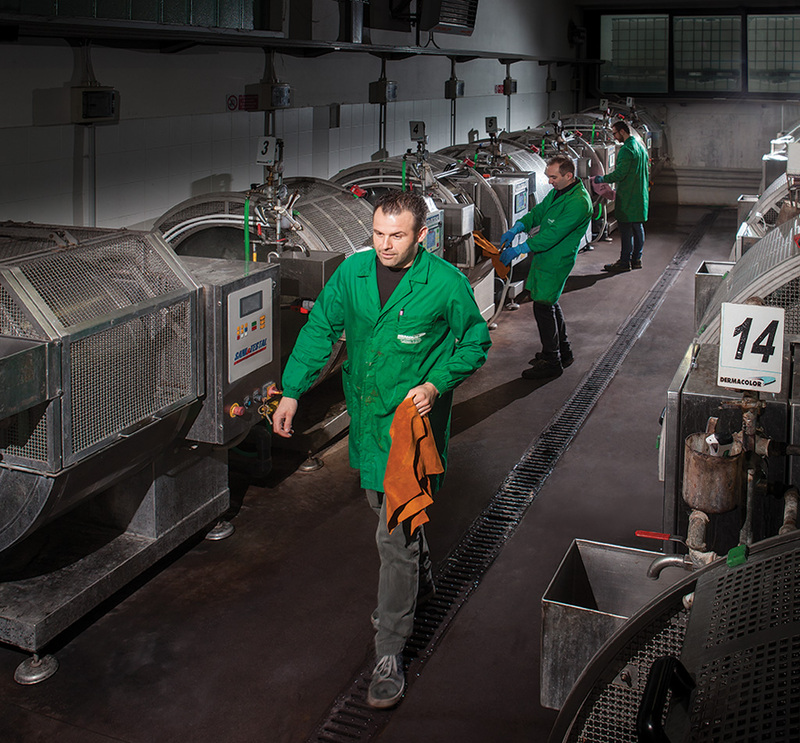 Dermacolor technicians directly work the leather in the company workshops, equipped for tanning, where they follow all the processing steps from the pickled hide to finishing. The precise method and use of Dermacolor tanning chemicals produce high quality processing that has earnt itself an excellent reputation in the tanning industry. The Dermacolor commercial product distribution network covers the whole of Italy as well as abroad, where it is an important benchmark. The products produced by Dermacolor are requested worldwide in both the East and the West.